F.B. 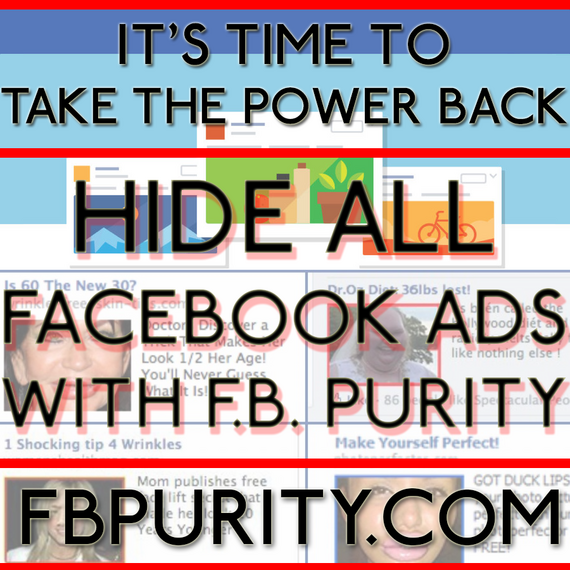 Purity – Cleans Up Facebook | F.B. Purity – News and Updates about the F.B. (Fluff Busting) Purity browser extension for Chrome, Firefox, Safari and Opera, that cleans up Facebook. 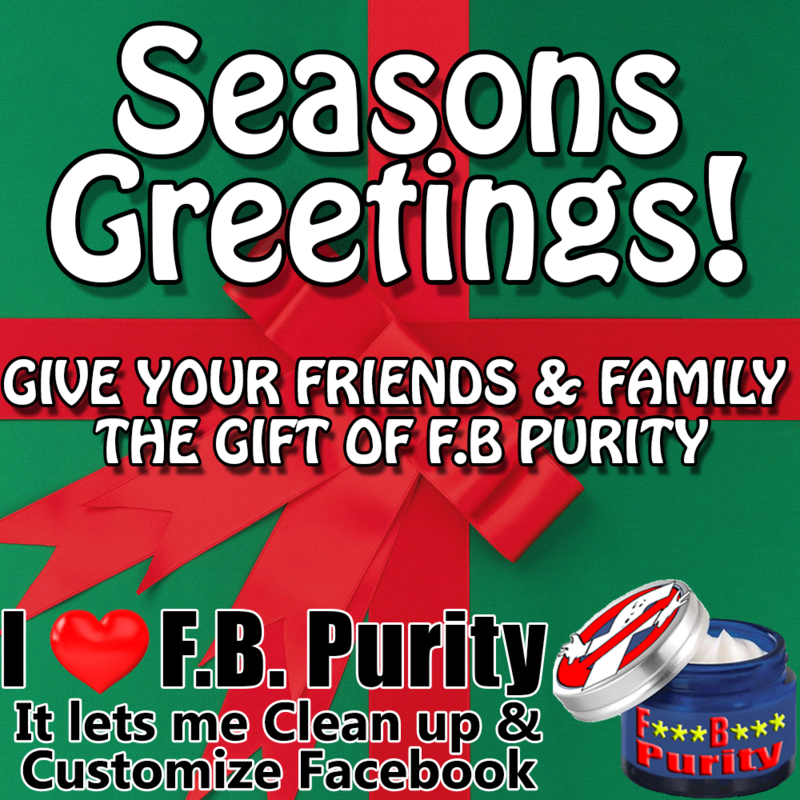 F.B Purity has now been Busting the Fluff on Facebook for 10 years! FB Purity has been busting the fluff on Facebook since 2009! Thats 10 whole years! To coincide with the 10 year anniversary, I’ve released an update to FBP (v27.4) that fixes the recent issue with the “Hide Sponsored Box / Posts” option, which was hiding more posts than it should have due to a Facebook code change. It also fixes the “Watch Vid (No Ads)” link that sometimes didn”t work. Fixed the hide “Sponsored Posts” bug, which was causing some “normal” posts as well as “Sponsored Posts” to be hidden. Sponsored posts are now also filtered out in languages other than English. New functionality for Watch Video (No Ads) (rewind/fast forward via arrow keys, pause via spacebar, up and down arrow keys increase/decrease volume), it also now preserves the user selected video volume level, just like with other videos on Facebook. Fixed/Changed The “Show Full Date/Time on posts” option stopped working for some posts due to a code change by Facebook. I’ve not managed to fix this completely, but for some of the posts where the Full Date/Time doesn’t show, if you hover the mouse pointer over the approximate time the post was made, the full date/time should then replace the approximate time. Firefox users who are getting the “Connection Failure” error when trying to install FBP, I have discovered the reason why this is happening. It is a known bug in Firefox that occurs if you are using Antivirus software that monitors your web browsing. The work-around, as mentioned in the FAQ is to right click on the install button, then select save, then install the extension by dragging and dropping it on to the Firefox extension management page. This Firefox bug can also prevent Firefox from automatically updating FBP when new versions are released. The FB Purity extension for Opera needs to be installed via the official Opera Add-ons site, which is where the green Install F.B. Purity button will take you to. Once it has been installed from there, whenever updates to the FBP extension are uploaded and approved on the Opera extensions site (this process can take a few days after I upload an update), the version of FBP in your browser should auto-update at some point. It can sometimes be triggered by closing the browser, waiting a bit and re-opening it, there is also an “Update Extensions Now” button on the Opera extensions management page, which if clicked will update all your Opera extensions to the latest versions. In order for the extension to update you may need to first close any open Facebook tabs. For those who don’t already know, FB Purity is a safe, free and top rated web browser extension for Google Chrome, Firefox, Edge, Safari, Opera and Brave. It lets you clean up the junk and customize Facebook the way you want it to be. It has many cool features, such as hiding all the ads, alerting you when friends un-friend you, letting you change the site’s colours, fonts and background image, it lets you stay on the “Most Recent” feed permanently and lots more. FB Purity has been reviewed and highly recommended in many places including the Washington Post, CNET, PCWorld, MacWorld, GetConnected etc and has over 450,000 users worldwide. FB Purity lets you clean up and customize Facebook. It hides all Facebook ads and lets you see only the things you want to see. Fixed video ad scanner to catch videos with ads that it was missing previously (fbp adds a “Watch vid (ad free)” link to video posts in which it detects to have interstital ads embedded. Updated the Text Filter function to also filter the “OCR” (optical character recognition) text Facebook sometimes finds in images. 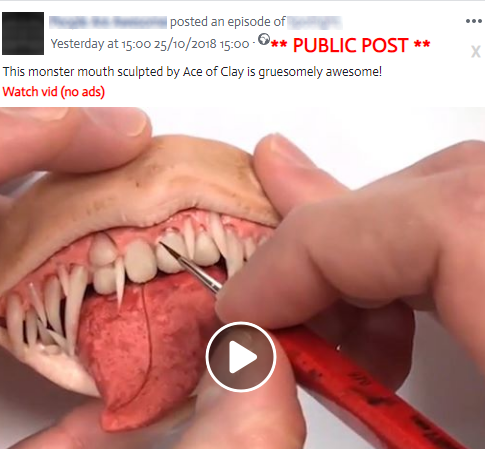 An example of an image in which Facebook’s AIgorithm has decoded the text contained in the image. (FBP has an option to display the info Facebook has decoded from an image, titled “Show Image Classifications on Hover” and it is located under the “Photo Options” heading on the FBP settings screen. Fixed a couple of minor cosmetic issues, also included hiding the “Send / request money” left column link in the hide “Payments section” left column link options functionality. If you have set a background colour, due to recent code changes at Facebook, the small chat windows will look wrong, this code change in the chat windows, also affects the “Revert Bubble Chat” option, which doesnt work correctly any more. I will be looking to fix these issues in future releases. The Zap Comments function for hiding comments with just tags has stopped working in the newsfeed, it sill works on Pages and Groups for now. For those who don’t already know, FB Purity is a safe, free and top rated web browser extension for Google Chrome, Firefox, Edge, Safari and Opera . It lets you clean up the junk and customize Facebook the way you want it to be. It has many cool features, such as hiding all the ads, alerting you when friends un-friend you, letting you change the site’s colours, fonts and background image, it lets you stay on the “Most Recent” feed permanently and lots more. FB Purity has been reviewed and highly recommended in many places including the Washington Post, CNET, PCWorld, MacWorld, GetConnected etc and has over 447,000 users worldwide. Added an option to hide the “Create” button in the top navigation bar (located under the “Top Nav Bar Options” heading on the FBP options screen. A lot of people have been complaining about Facebook’s Most Recent feed and FBP’s option to keep you on the “Most Recent” feed permanently, saying that the Most Recent feed is not in chronological order. This is because Facebook have attempted to redefine what “Most Recent” actually means, and to Facebook unfortunately it no longer means Chronological order. All that the FBP option “News Sort: Most Recent” does is automatically switch you back to “Most Recent” if it detects Facebook has switched your Newsfeed to “Top Stories”. FBP does have functionality for sorting the feed Chronologically, but it is not automatic, and only runs if you press the “R” key on your keyboard (R for Re-Sort), this function when initiated will sort the currently loaded posts in the Newsfeed into chronological order, if any posts load after the feed has been sorted, for instance if you scroll the page down further, then those new posts will not be in the correct order, and you will need to press the “R” key again. Facebook has started added a “Friend Requests” box as a post in the Newsfeed, showing your current Friend Requests. You can hide this box from the Newsfeed by putting the text Friend Requests, or if that doesn’t work FriendRequests into FBP’s Text Filter box. They are also adding a “People You May Know” box to the newsfeed, you can hide this by either ticking the hide “People You May Know” option on the FBP options screen under the “More Options” heading, or else just put the text “People You May Know” into FBP’s Text Filter box. If you have installed the FBP Chrome extension via the “Inline Install” method (by clicking the green “Install F.B. Purity” button on the FBP Install page) or directly via the Chrome Webstore, you should now receive automatic updates (Chrome checks for extension updates once every 5 hours). If you don’t want to wait, and know an update is available you can force an update by turning on “Developer Mode” on the Chrome extensions management page, then clicking the “Update” button at the top of the page (make sure you don’t have any facebook tabs open, so Chrome can unload the existing version first). For those who don’t already know, FB Purity is a safe, free and top rated web browser extension for Google Chrome, Firefox, Edge, Safari and Opera . It lets you clean up the junk and customize Facebook the way you want it to be. It has many cool features, such as hiding all the ads, alerting you when friends un-friend you, letting you change the site’s colours, fonts and background image, it lets you stay on the “Most Recent” feed permanently and lots more. FB Purity has been reviewed and highly recommended in many places including the Washington Post, CNET, PCWorld, MacWorld, GetConnected etc and has over 441,000 users worldwide. **Important News** If you have started seeing Sponsored posts again in the newsfeed, this is because Facebook have changed their code to get around FBP’s ad blocking. I am looking into fixing this, please be patient, thanks. In the meantime, if you want to view Facebook without the ads, here are some suggestions. 1) Click the 3 dots “…” next to where it says “Newsfeed” at the top left of the Newsfeed, and select one of the other available feeds, (“Friends Feed“, “Pages Feed“, “Groups Feed” or “Photos Feed“. None of those feeds should have any ads on them (in theory). 3) Visit the following link https://www.facebook.com/me/friends_with_unseen_posts and it will tell you which of your friends have made new posts recently, and you can visit their Timelines individually as users individual Timeline pages do not yet show ads as far as I am aware. although you won’t have all your usual FBP functionality available for filtering the newsfeed etc, FBP will actually block the ads from the newsfeed on the mobile website version of Facebook. (Note you do not need to use a mobile device to view the mobile website, you just need to click the link above in your desktop browser that has FBP installed, or type the URL (m.facebook.com) into your browser. 5) This option is a bit more extreme, but FBP has an option to hide the whole Newsfeed, so you shouldnt see any more Sponsored Posts (along with all the other posts) To use this option, tick the hide “The Whole Newsfeed” option, located under the “Various Post Types” heading on the FBP options screen. 6) If there ads from a particular Page you do not want to see in your newsfeed, put the full name of the Page into FB Purity’s Text Filter box. 7) I guess one could also use this as an excuse to use Facebook less, find something more productive / creative / worthwhile / interesting to do with your time. In other news Facebook have added 2 new links that some people are seeing in the Left Column, titled “Trending News” and “Creator Studio“, if you wish to hide those links, copy and paste the relevant CSS code snippet/s from below into FBP’s CSS box on the FBP options screen. FB Purity, the safe, free and top rated browser extension lets you clean up and customize Faceobok. Fixed the post privacy setting menu not going away after change privacy setting when the hide “Sponsored Box / Posts” option was turned on. Added hiding the “Your Story” section below the Status update box to the “Right Column” hide “Stories” box option. Please note, if you turn on the option to hide the “Stories” box, there is a short delay after the “Your Story” section shows up and it being hidden. Added button to clear “Your Categories” under the “Your Information” heading on Facebook’s “Ad Preferences“ page. Fixed transparent Post button and privacy selector menu, if the “Transparent Newsfeed” option was turned on. Removed option to filter the “Trending” box, instead it will filter the Trending box by default if there’s text in FBP’s “Text Filter” box. 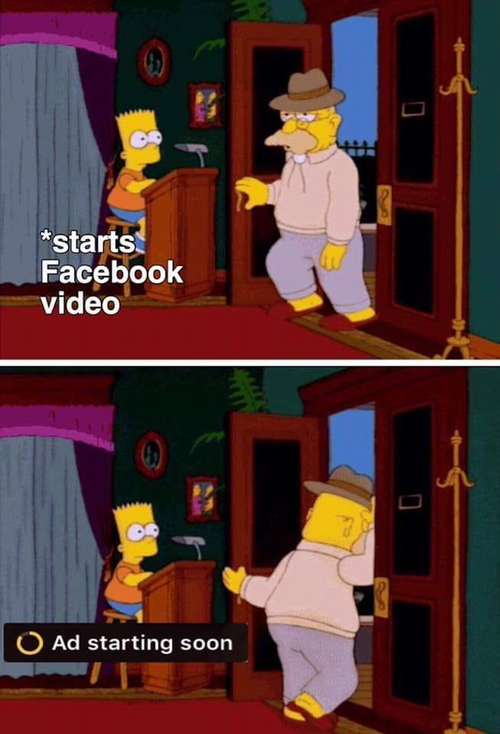 Though its worth noting Facebook has said it plans to get rid of the Trending feature in a few days, and they are going to replace it with something else. For those who don’t already know, FB Purity is a safe, free and top rated web browser extension for Google Chrome, Firefox, Edge, Safari and Opera . It lets you clean up the junk and customize Facebook the way you want it to be. It has many cool features, such as hiding all the ads, alerting you when friends un-friend you, letting you change the site’s colours, fonts and background image, it lets you stay on the “Most Recent” feed permanently and lots more. FB Purity has been reviewed and highly recommended in many places including the Washington Post, CNET, PCWorld, MacWorld, GetConnected etc and has over 437,000 users worldwide. 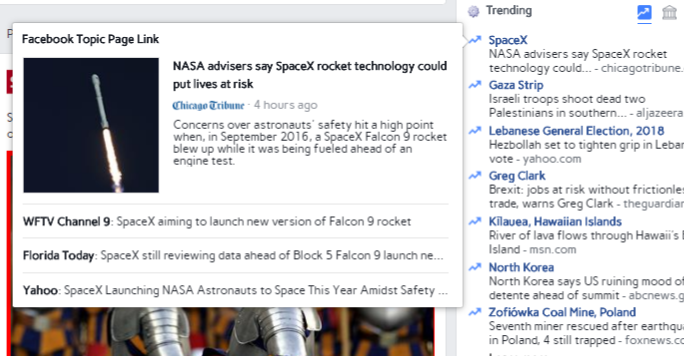 Screenshot shows the Trending popup box with links that take you to the Facebook Trending Topics page, but with the new FBP option “Fix Trending Links”, FBP will attempt to make the links go to the actual specified story on the actual News websites themselves. Important Info about the “Posts From Across Facebook” thing that is showing up in some people’s Newsfeeds. 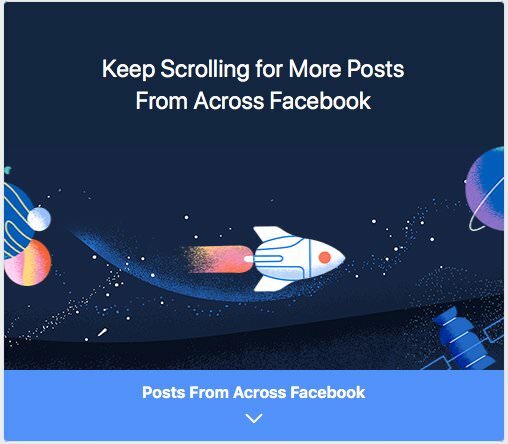 Facebook is testing a new “Feature” on some users called “Posts from Across Facebook” basically, this shows up after Facebook decides you have seen enough posts from your friends, groups you have joined and Pages you have liked, and instead starts showing you posts from Pages you have not actually liked! There is nothing FBP can do about this, other than hide those posts, which you can do by ticking the Hide “Fan Page Posts” option, which is located under the “Various Post Types” heading on the FBP options screen, the only problem with that is, that it will also hide posts from Pages you have actually liked. FB Purity is now available as an official Microsoft Edge extension obtainable directly from the Microsoft Edge store So the old method of installing the FBP GM Script via the Tampermonkey extension is no longer required. If you install the official Edge FBP extension from the Microsoft Edge store, it should auto-update when new versions are released in future. Be aware however that the Microsoft Store has a slow (manual) approval process for accepting extension updates, so the new version will not show up in the Microsoft Store for a day or two after I release an extension update. For those who don’t already know, FB Purity is a safe, free and top rated web browser extension for Google Chrome, Firefox, Edge, Safari and Opera . It lets you clean up the junk and customize Facebook the way you want it to be. It has many cool features, such as hiding all the ads, alerting you when friends un-friend you, letting you change the site’s colours, fonts and background image, it lets you stay on the “Most Recent” feed permanently and lots more. FB Purity has been reviewed and highly recommended in many places including the Washington Post, CNET, PCWorld, MacWorld, GetConnected etc and has over 435,000 users worldwide. A Facebook code change today, caused a bug in F.B. Purity that was causing all newsfeed posts to be hidden if the Hide “Sponsored Box / Posts” option was turned on. This release v24.1.0 fixes that bug. Fixed: The “Clear Interests with FBP” button on the Facebook “Ad Prefs” page should now clear out a lot more of the interests with each press, as it now automatically expands the “See More” links for each category before clearing the interests in that category. New: The Hide “Marketplace” option under the “Left Column Links” heading on the FBP options screen, now also hides the “Recently Viewed in Marketplace” box that shows on the right hand side of the page. How to: How to hide the “More Information about this Article” button. Some people have been asking how to hide the new (i) button that appears on posts from Pages in the Newsfeed, titled “More information about this article”, I have posted some CSS code on the F.B. Purity CSS page that lets you hide that button. Known Issue: It seems the bug in the “Sort Notifications Chronologically” option, that was causing the notifications in the Globe menu dropdown to disappear, leaving just the “See All” link behind, has resurfaced. The workaround for this issue is to turn off the “Sort Notifications Chronologically” option, which is located under the “Notifications” heading on the FBP options screen. I’m still working on a fix for this. To fix the hidden newsfeed issue if you are waiting for the FBP Update that fixes it (Opera and Edge users) Turn off the hide Sponsored Box / Posts option. Due to a Facebook code change, FBP’s Hide “Sponsored Box / Posts” option is currently hiding all the posts in the Newsfeed. 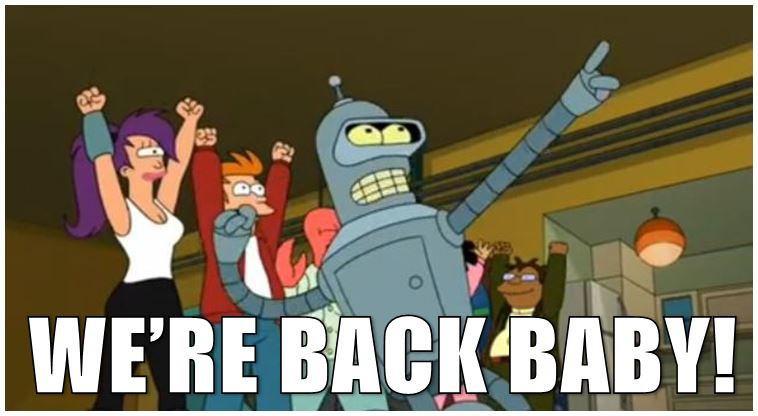 **UPDATE** A new version of FBP has been released that fixes this issue, check the latest news post for more information. To stop this, turn off the Hide “Sponsored Box / Posts” option. To do this, click the FBP link at the top of your Facebook page, then un-tick the Hide “Sponsored Box / Posts” option right at the top of the FBP options screen under the “More Options” heading, then click the “Save and Close” button.